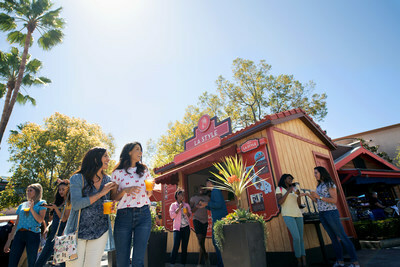 ANAHEIM, California, Feb. 6, 2019 /PRNewswire-HISPANIC PR WIRE/ — The popular Disney California Adventure Food & Wine Festival returns to the Disneyland Resort March 1 to April 23, 2019, with flavors and fare inspired by the Golden State. Guests of all ages will discover the beauty and celebrate the bounty of California with unforgettable cuisine, beverages and entertainment at this culinary festival in Disney California Adventure Park. With experiences happening daily during the limited-time event,* guests will always find something tasty to try and fun to do as they explore the uniquely Disney festival.